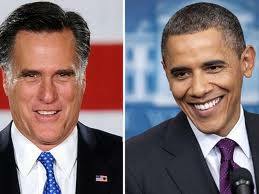 I sat in open-mouthed wonder as Romney denied his previous stances and agreed, agreed, agreed with the President. I began to suspect that when Romney didn’t know how to answer a question, he simply agreed with Obama, figuring that couldn’t get him into trouble. What was he (Romney) thinking? I also thought at times that he looked like he was going to cry. On the other hand, whenever Romney said something that Obama particularly objected to, his (Obama’s) eyes would flash fire. Interesting to see how the two men reacted.